We are very proud to announce, that as previously teased, today sees the release of the first volume of the Tales From The Edge series. This series will cover all aspects of the Maelstrom's Edge universe, all factions, and fiction from a large number of perspectives and authors. 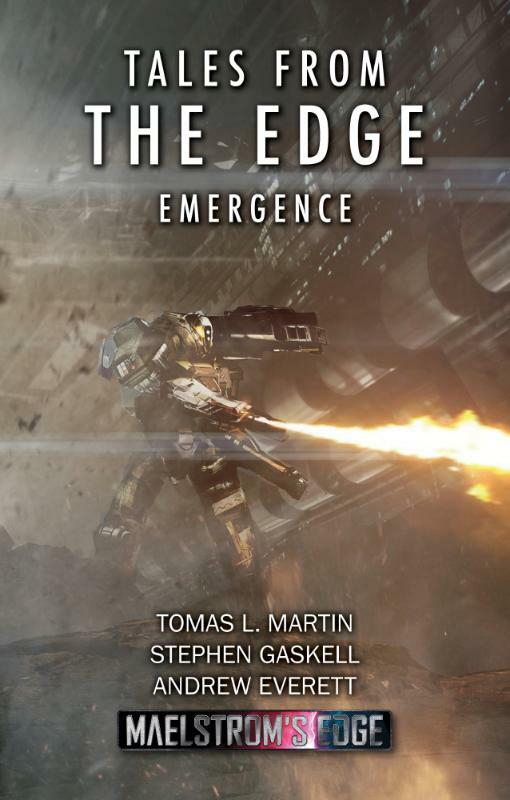 The first release - Emergence - includes stories by Tomas L. Martin, Stephen Gaskell and Andrew Everett. It will be digital exclusive on Amazon until February, when it will also get a print release alongside the second volume. It is available right now on amazon (US / UK) for just $2.99 / £2.31, or you can get it and read it for free if you use Kindle Unlimited. Go and check it out today, and please spread the word to your sci-fi fan friends if you enjoy it as word of mouth really helps us to thrive!